The popularity of our Duffle Suitcase serves as a strong validation that we are solving a problem by offering people the most organized way to travel. 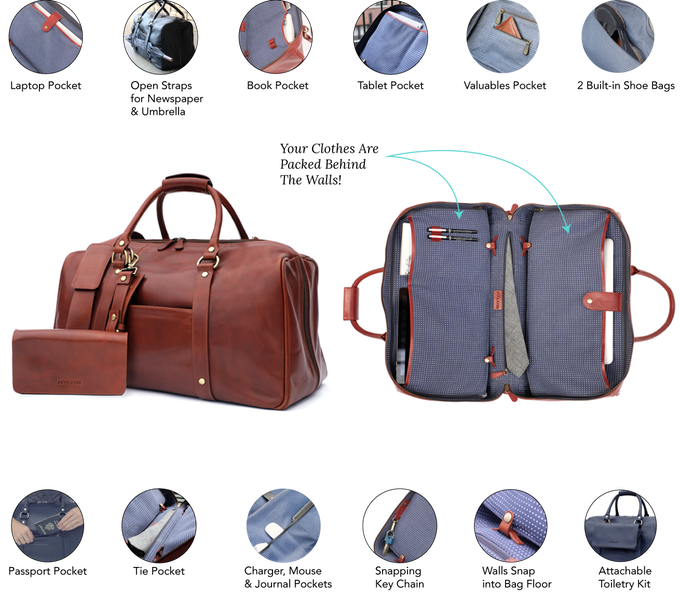 The Duffle Suitcase by Wool & Oak, the most organized way to travel, has completed a monumentally successful Kickstarter and it announced today the discounted pricing will continue on Indiegogo InDemand. Having raised just under $550,000, the 19 compartment travel bag acquires status as one of the most popular travel items in crowdfunding history. Wool & Oak will continue to welcome pre-orders for the bag on Indiegogo InDemand, a platform for successful crowdfunding campaigns to meet consumer demand and take pre-orders from additional backers. The enthusiasm for the Duffle Suitcase is testament to its perfect mix of high style, luxurious leather, and functional design. Wool & Oak created the Duffle Suitcase to meet the needs of the evolving traveler, and the traveler who is forced to comport and compact more today than ever before. The Duffle Suitcase’s unique blueprint offers 13 utility pockets including areas specifically for laptops, ties, books, tablets, valuables and more. 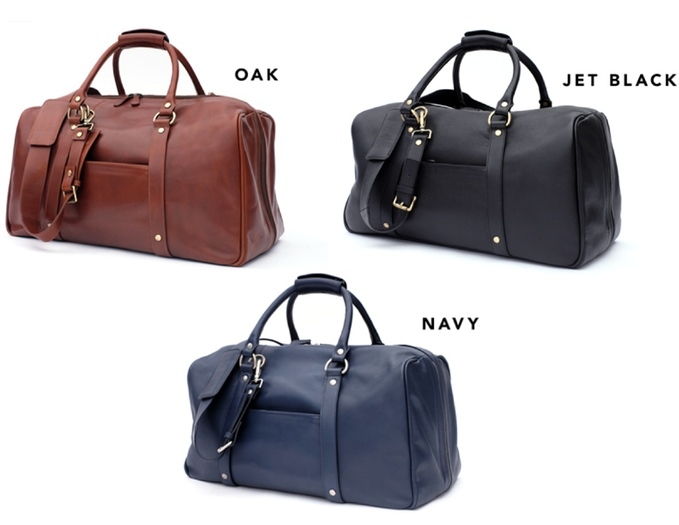 Wool & Oak is a new brand specializing in leather goods. The brand’s design philosophy is about the marriage of classic design aesthetic with functionality needed in today’s modern world. With minimal branding, Wool & Oak aims to give the customer a sense of ownership, thus empowering them to mold each piece to their own personal style. Founded in 2015 by owner/designer Johnathan Webster, Wool & Oak offers extremely well made products at a price point that represents aspiration - a step above fast fashion quality and a step below luxury price.